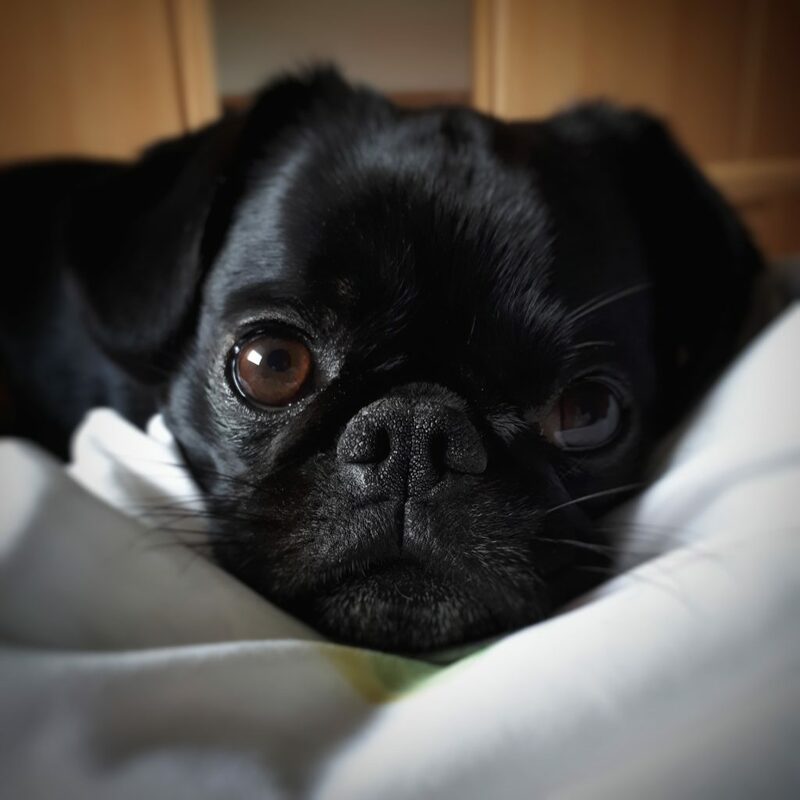 Pug is not ready to get out of bed! Most of us have had those days where you seriously consider calling in sick so you don’t have to get out of bed early in the morning, and it’s especially hard to work up motivation so close to the holidays. This pug is definitely staying cozy snuggled in the covers today, and we would love to do the same! Happy Friday to all of our pug friends!